The anterior cruciate ligament, or ACL, is one of four major ligaments in the knee. One of the most common knee injuries is a torn ACL, which can result from attempting to rotate the knee while the foot is planted. In some cases, the tear is a result of an impact, but an athlete can also tear the ACL without impact from another player. Because an intact ACL is required to provide stability in the knee, surgery is typically required in the event of a tear. 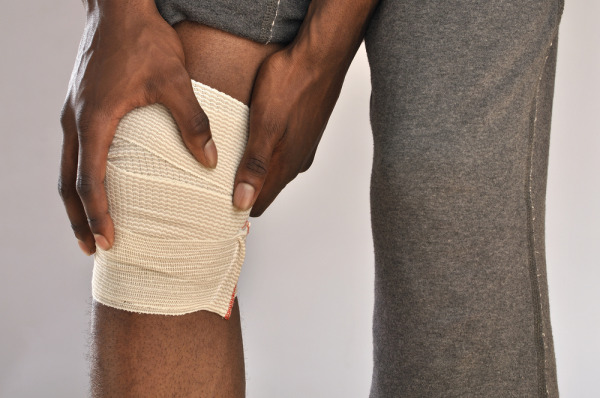 Although every athlete's injury experience is different, both physically and emotionally, there are some common processes that everybody goes through after ACL surgery. Hospital stay - In many cases, ACL surgery is done on an outpatient basis, but in some cases a short hospital stay may be required. Pain management - Your physician may prescribe pain medications to help ease the discomfort immediately following surgery. Incision care - The small incisions from the surgery should be kept clean and dry in order to help prevent infection. Recovery - As the ligament heals from surgery, steps can be taken to help accelerate the healing process. The most common treatments are cryotherapy and compression to help control swelling, reduce pain, and help tissue heal faster. Physical rehabilitation - The length of the rehab process varies, but it typically takes between four and six months for an athlete to return to their pre-injury condition. Athletes who have been through it know how long it can take to recover from ACL surgery. However, what they might not know is that the healing process can be accelerated with the help of active cold and compression. Consistent, deep cold helps reduce inflammation and slows cellular metabolism so there is less secondary tissue growth. These factors combine to allow damaged tissue to heal faster. Active cold and compression help speed up recovery by replenishing nutrients and supplying oxygen-rich blood to the surgery site, while also removing edema and reducing pain. Game Ready's knee wraps can be used to help athletes recover from ACL surgery more quickly and with less pain. The patented system ensures that therapeutic cold surrounds the entire knee while active compression pumps edema away and helps reduce swelling. If you are recovering from ACL surgery or regularly work with athletes, contact Game Ready to learn more about how you can rent or purchase your own system. Have you ever had to recover from ACL surgery? What steps did you take to accelerate the healing process?